The Amazon Fire 8 HD tablet is completely out of stock and new orders will not ship until September 15th 2016. Not only is it not available to ship out for at least three weeks, but Amazon has also removed it from the top navigation bar. 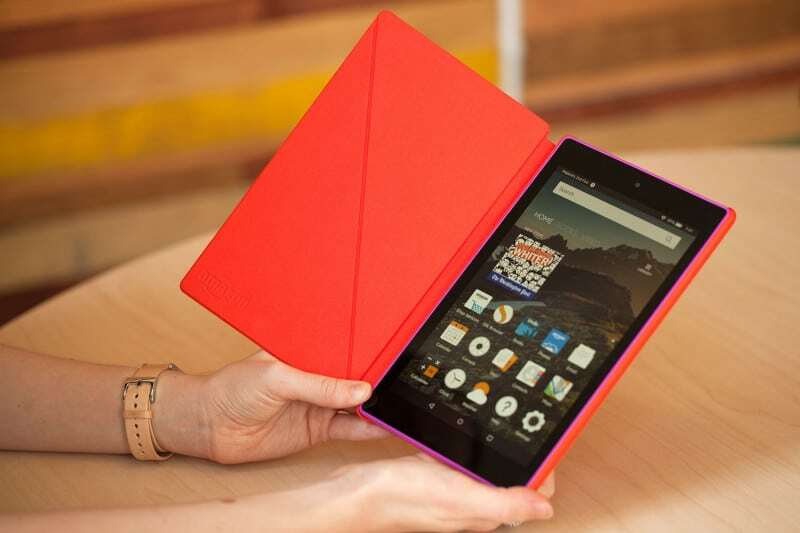 Amazon tends to announce new Fire tablets sometime between September and October. This device might be out of stock because Amazon is working on a tablet refresh. Many people are disappointed with Amazons foray into the eight inch tablet market. . The Fire HD 8 has a resolution of 1280 x 800 and is running a quad-core MediaTek MT8135 CPU with PowerVR Rogue G6200 graphics, 1GB RAM, 8Gb or 16GB internal storage, a pair of cameras (5MP and 1MP), Bluetooth, and Wifi. It also has Dolby Audio, which actually gives you better sound than most other tablets on the market. Just to give you an indication on how woeful the 8 inch tablet is,the 2014 Fire HDX 7 had a resolution of 1920×1200 pixels and the HDX 8.9 had 2560 x 1600p pixels with 339 ppi.